The historic Ogunquit Playhouse in Maine is running a production of Joseph and the Amazing Technicolor Dreamcoat this month. Clay Aiken is playing Joseph with Keala Settle as the narrator. I’m thrilled that Clay is spending part of his summer in New England and that I can make the drive there next week. For the first half of this year, I found I was getting frustrated with limited public communication (especially since he’s very funny on Twitter) and not attending important industry events like the Tony Awards, etc. It was really because I was hoping to see some direction, some plan, something other than what felt like professional ambivalence hidden within the roar of silence coming from Raleigh. Perhaps, he was doing some soul searching about what it is he wanted in this difficult industry, or if he still wanted an entertainment career at all. (I still think we’ll lose him someday to politics, the banner on this page is from his appearance on Face the Nation.) Maybe, as some have mused, being cast in the lead in The Drowsy Chaperone at North Carolina Theater alongside Tony Award winning Beth Leavel, sparked something in him because it was more than an ensemble of first quality players like when he was in Spamalot. He had to carry Drowsy in a role that was 99.9% acting, not singing. From what I've seen of it, his part was the glue that held the whole thing together. And not only did he excel in it, maybe he felt the joy again. Maybe he felt the thrum that fans feel when we see him perform. I still want to watch him perform pop music on stage again, someday. His voice is well suited to good pop. But doing theater is what surprises people with the breadth of his talent. Doing theater is where he gets some of the best promotion. Doing theater lets him sing (in most cases) but also requires him to stretch. He does his best work when he stretches out of his comfort zone, in my opinion. In a recent interview, he said this role did just that. And I like that he's dedicated to whatever decision he appears to have made to do something like this. A challenging part, a lead in a musical, nine shows a week with a short time to rehearse with people he's never met before. And maybe it's not only his yellow brick road back to Broadway but his side door back to recording the pop music that was made for his voice and that created the most success and the largest breadth of fans. But for now, I’ll spend a long weekend on the coast of Maine watching him perform in a part that was made for his voice, made for his stage presence and made for his love of working with a “family”. My friends and I will travel from various parts of the country to watch new people experience that too. That’s always a perk when Clay performs in a new region or with a new project. Patrons may walk in with a mixed bag of anticipation, reluctance and uncertainty but they almost always walk out a fan. I'm a planner, probably to a fault. Heck, planning is in my title at work so it's how I'm wired. I know that for Clay's career one plus one will never equal two and even though I struggle to see the plan sometimes, I’ve mostly come to accept it. For Clay’s career, one plus one often seems to equal the square root of a mango. But what I like right now is that he seems to be taking a great big bite of it. 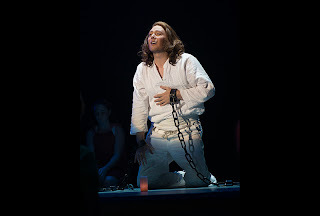 Get tickets here at Ogunquit Playhouse. 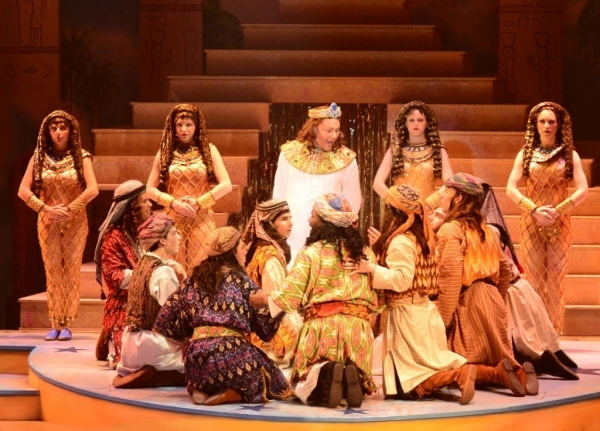 Joseph will be running through August 25th.